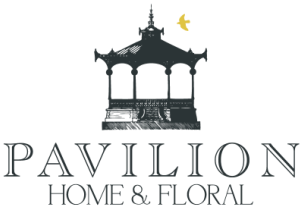 Michele Ross & Leslie Marceau opened Pavilion Home & Floral to sell all the things they loved for the home but couldn't easily find in Cleveland. Leslie & Michele carefully choose every item in the shop with a particular point of view, including wonderful, quirky pieces that can't be found anyplace else. "Pavilion Home is a place where everyone can be inspired" Leslie says. It has an eclectic mix of 18th, 19th and 20th century antiques mixed with custom upholstery, home accessories, art, contemporary furniture and books on interiors and gardens. We represent several international product lines, including Lillian August for Hickory White, Arteriors Home lighting and accessories, Visual Comfort lighting, Bliss Studio accent furniture, Match Pewter & Richard Ginori tabletop.